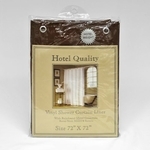 Our Premium Quality medium-weight vinyl shower curtain liners are made of 4 gauge vinyl with rust proof metal grommets for added durability. 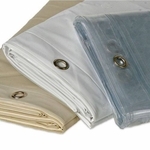 An anti-microbial treatement helps the vinyl liners resist mold, mildew and bacteria. 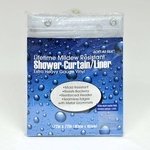 The Premium Quality Shower Liners also have 3 weighted magnets enclosed across the bottom to ensure the liners hang straight in the shower or tub. 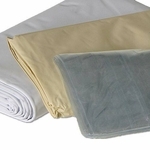 Super Clear, Frosted Clear, White, Bone, Light Blue, Gold, Jade, Lilac, Navy, Yellow, Brown, Red, Black, Pink, Burgundy, Slate Blue, Evergreen, Rose, Peach, Sage Green, and Tan Linen.